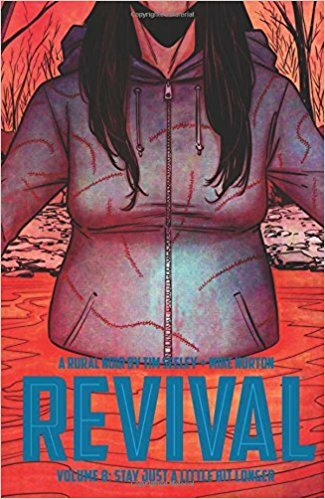 This is it, the final chapter in the critically acclaimed crime/horror rural noir, REVIVAL! Police Officer Dana Cypress has solved the mystery of the murder of her sister, but now she must decide whether too seek justice or help the perpetrator save the town of Wausau from eating itself alive. Such a great ending to this very weird story. I was hooked on the series in Volume 1, and barreled through to the end. Definitely a weird storyline. But such great characters. I was fully into this series.